The Citizen is published every three months by the council. Conservatives have accused Wakefield Council's free quarterly newspaper of ignoring areas it represents. Ossett councillor Angela Taylor said the town got "nothing" by way of council support for events, but the authority says it spreads cash as fairly as it can. Ossett councillor Angela Taylor claimed that the latest edition of The Citizen, which is circulated by the local authority to homes across the district, did not feature anything about her ward or the surrounding areas. In a full council meeting on Wednesday, Coun Taylor said the spotlight had been focused on the city of Wakefield and the eastern half of the district and that taxpayers' cash has been broadly spent in those areas. 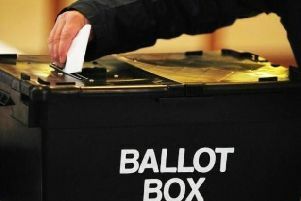 Four of the six members elected to represent wards covering Ossett and Horbury are Conservatives, but the ruling Labour group insists it distributes the council's cash as fairly as possible. Referencing the Spring edition of The Citizen, Coun Taylor said: "Is it meant to be for the whole of the Wakefield district or is it just for Wakefield and the Five Towns, because there's nothing in it about our side of the district? "Ossett, Horbury and the surrounding areas aren't mentioned once." In response, the council's acting portfolio holder for corporate services, Michael Graham, said: "I'm sure there are a lot of fantastic things happening in Ossett, so we'll make sure that for the next one all the great work the council's been doing in Ossett will be in there." During a later discussion about the success of recent events in Wakefield, including the Rhubarb Festival, Coun Taylor later claimed the council had "denied" Ossett financial help for the attractions it had put on. "When we've asked for assistance, and we don't ask for much, we get nothing," she said. "We get no help whatsoever for all the events we put on in Ossett." In response to that, the Cabinet member for leisure, Jacquie Speight, said it was unfair to suggest that the town didn't get help, and pointed to the authority's investment in grassroots football as evidence. She said: "I'm sorry you feel that way, but as you know there is only so much money and we spread it around as best we can. "There are other towns that don't have support from us for festivals and events. We try to aim it where the biggest populations are. "It's not fair to say Ossett doesn't get anything. We're investing £50,000 into football in the area. Ossett is the centre of the universe in our district when it comes to football. "There are going to be hundreds of young people in Ossett and surrounding areas that will benefit from that, and that's an investment that this council has made."